When the farmers in my area are spraying their fields in the spring and fall, I always close the windows and don't bother hanging laundry out those days. Because, really you have no idea what they're spraying, although I'm pretty sure it's meant to kill bugs or weeds or something. So, needless to say, it probably isn't good for people either. 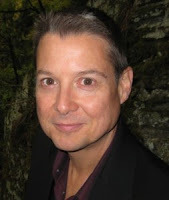 Jon McGoran is a mystery writer who also happens to have a strong interest in food and sustainability. He's successfully combined those two interests into a entertaining, thought provoking new 'eco-thriller' with the release of Drift. Doyle Carrick is a Philly detective on suspension from the force. With the death of his parents, he heads to their small town to wrap up their affairs and wait out his twenty day sentence. But what he finds isn't the idyllic little town he expected. While driving around he spots known drug dealers, his beautiful new neighbour Nola is receiving threats to sell her land to a developer and his own backyard backs on to a heavily fenced property. Nola is an organic farmer and it's taken her years to get her land and crops certified. 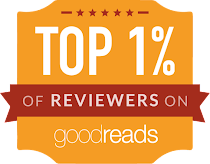 But when her crop of corn develops an unknown fungus, and folks from the other side of the fence start shooting at Doyle, he is thrown headfirst into a deadly plot no one could have imagined. I quite liked the character of Doyle. He's real, engaging and appealing. I'd like to see Doyle being reprised in future novels/cases. Some of the characters were a wee bit stereotypical, such as the small town police chief who takes an immediate dislike to Doyle. But, there's never a question of who's on which side of right and wrong. McGoran takes the time to provide a secondary storyline with Doyle, his interest in Nola and his relationship with his parents that give the character added depth and personality. 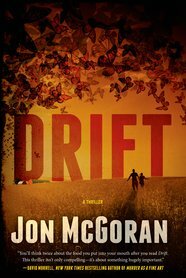 In Drift, McGoran successfully combines mystery with reality, crafting an entertaining, action packed read. Drift will have you thinking twice about the food you eat as well.......Read an excerpt of Drift. "Jon McGoran has written about food and sustainability for twenty years, as communication director at Weavers Way Co-op in Philadelphia, and now as editor at Grid magazine. During that time he has also been an advocate for urban agriculture, cooperative development and labeling of genetically engineered foods. He is a member of the Mystery Writers Association, the International Association of Crime Writers, and the International Thriller Writers. He is a founding member of the Philadelphia Liars Club, a group of published authors dedicated to promotion, networking, and service work. He lives in Philadelphia with his wife and son." You can find him on Facebook and on Twitter. See what others on the TLC Book Tour thought - full schedule can be found here. This sounds very timely, and scary! Great review! I find the whole subject quite terrifying :) Thanks so much for being on the tour! 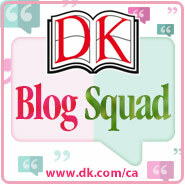 Back to School with DK Canada!